Remove the drive belt. Refer to Drive Belt Replacement. 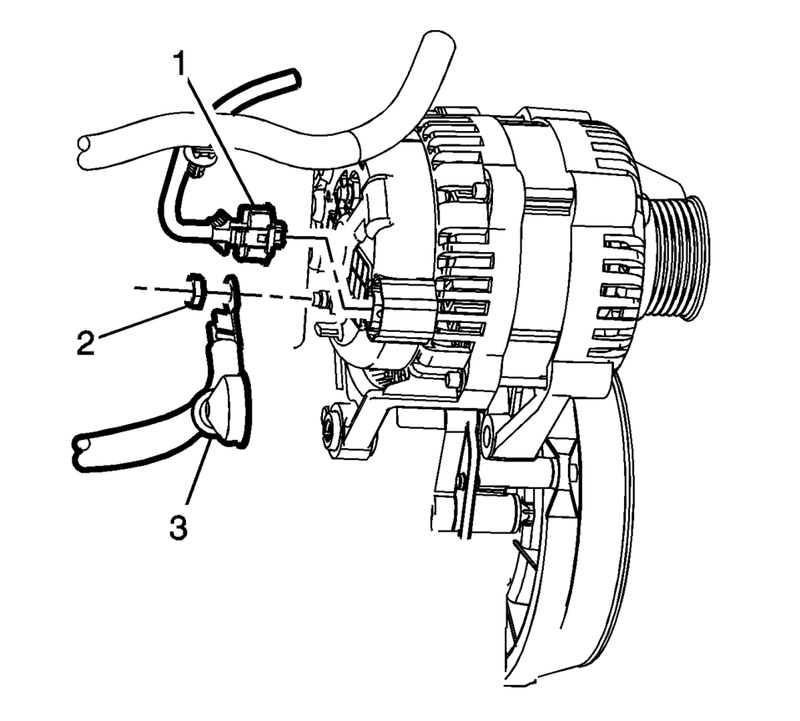 Remove the engine harness connector (1) and the battery positive cable generator fastener (2). Remove the battery positive cable (3) from the back of the generator. Remove the generator mounting fasteners (1) and remove the generator (2) from the engine. Install the drive belt. 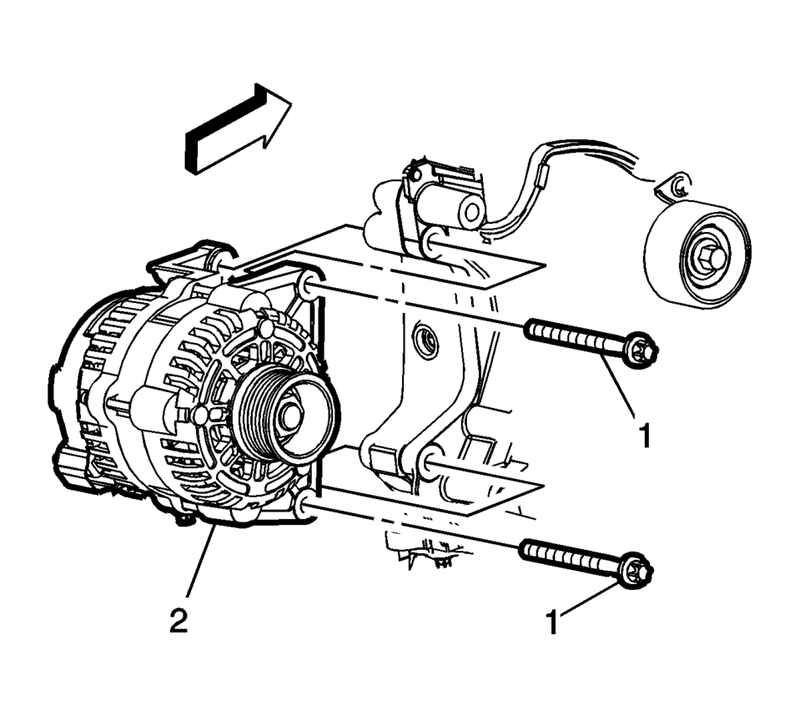 Refer to Drive Belt Replacement.